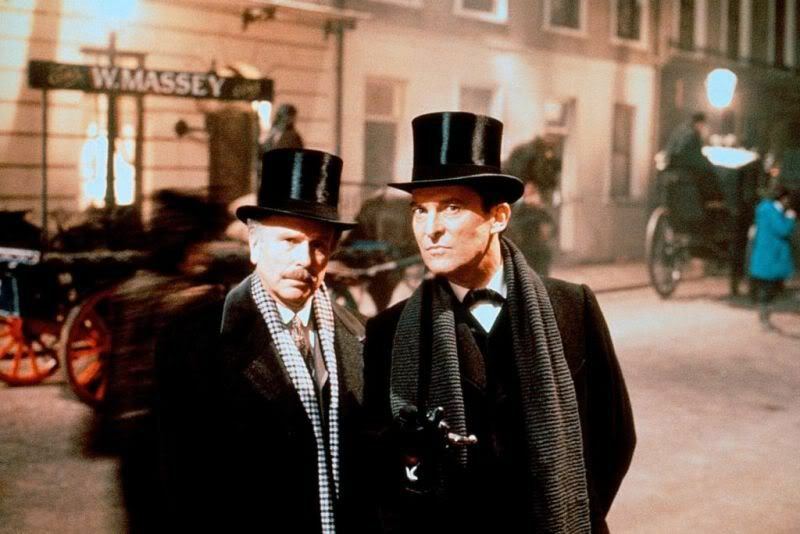 Holmes and Watson. . HD Wallpaper and background images in the Sherlock Holmes club tagged: jeremy brett sherlock holmes holmes granada television john watson watson. This Sherlock Holmes photo contains 신사복, 비즈니스 정장, 거리, 도시 현장, 도시의 설정, 도시 장면, 도시 설정, 도시 거리, and 도시 장면 설정. There might also be 페도라, 펠트 모자, homburg, 스텟 슨, 트릴, 훔굼, 스테 트론, 트릴 비, 페도라 펠트 모자, 홈 부르 크, stetson, trilby, 잘 입고 사람, 정장, 바지 정장, 잘 차려 입은 사람, 양복, pantsuit, 드레스 모자, 높은 모자, 오페라 모자, 실크 모자, 난로의 연통, 모자, 토퍼, 비버, 하이 모자, 난로 파이프, and 머물렀다.